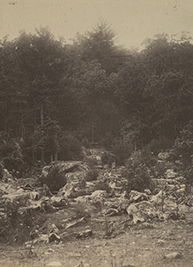 Mathew Brady sent these six photographs to a New York newspaper following the September 1862 capture of Harpers Ferry to promote his series of photographs, “Brady’s Incidents of the War.” Each is captioned in a contemporary hand in blue pencil, typical for nineteenth-century newspaper editors, and the group of accompanied by a contemporary wrapper identifying the collection in the same hand. This is a delightful Brady Imperial salt print portrait of one of the fascinating political and literary characters of mid-nineteenth-century New York, David T. Valentine. 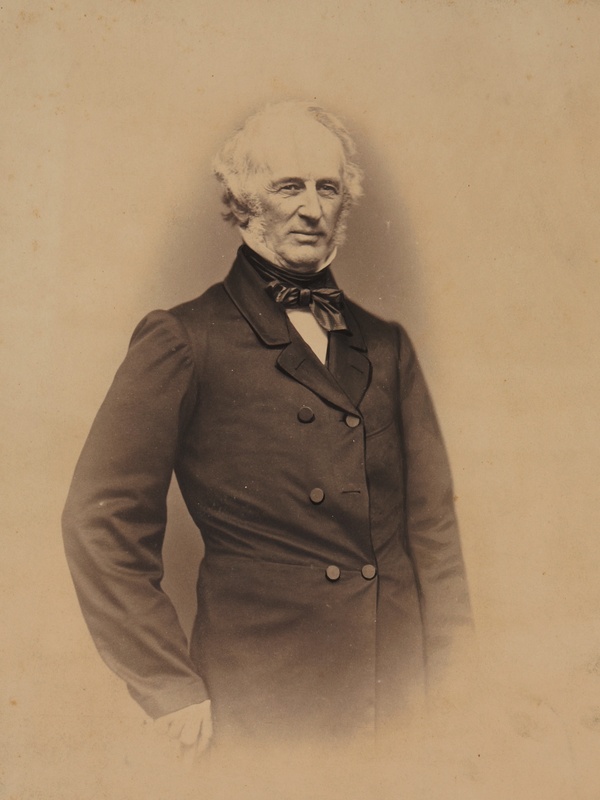 Founder of the Vanderbilt business dynasty, Cornelius Vanderbilt made his fortune first in steamships and shipping and then in railroads. His career spanned the birth of the steamship and the development of the great American railroad networks. 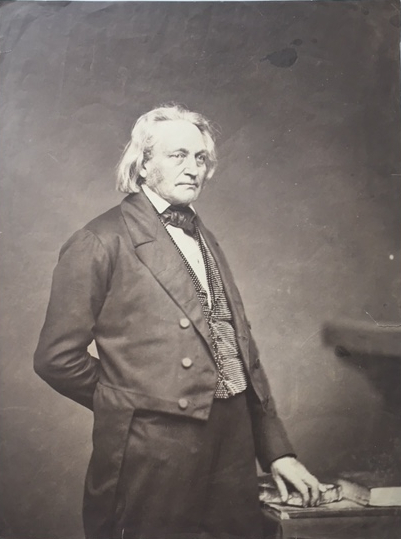 He was “the oldest and perhaps the greatest of the nineteenth-century railroad barons” (ANB). Grand Central Station and Vanderbilt University stand as testaments to his influence and wealth. 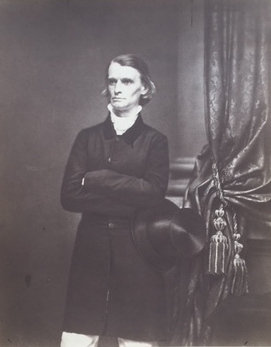 This is a dramatic full-length standing salt print portrait of Gov. Henry A. Wise by Mathew Brady. This famous site on the Gettysburg battlefield is in front of Little Round Top. (GARDNER, ALEXANDER.) Barnard & Gibson. This fine view shows Confederate defenses near Bull Run. After the first battle of Bull Run the Confederates extended their earthworks from Manassas across Bull Run and along the ridge of Centreville. 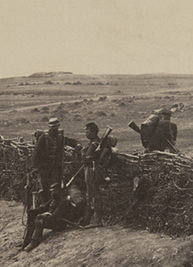 The Army Signal Corps played a key role at Antietam, relating enemy movements to the commanders and transmitting orders in turn. 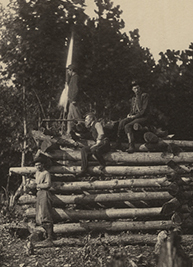 Gardner notes that the Elk Mountain tower was the most important of the look-outs at Antietam. 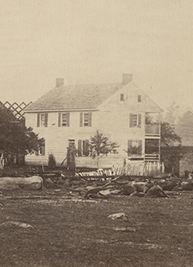 Gen. George McClellan selected this house as a temporary home for his wife, and the Union commander spent many hours here as well. 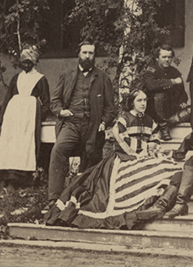 Gardner notes that members of Burnside’s and McClellan’s staffs are in the photograph and that McClellan was drawn away because of enemy action nearby. This house was in front of the left of the Union position at Gettysburg. “Thousands of dead and wounded were strewn over the fields adjacent to this house, and graves of Confederates can be found in every direction.” (Gardner). 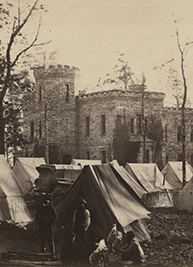 “In the Fall of 1863, Army Headquarters were pitched, for some days, near [Dr. Murray’s house]; at the same time, Gen. Pleasanton, commanding the cavalry, had his camp on Rockhill, his tents forming, with Castle Murray, a very effective picture” (Gardner).